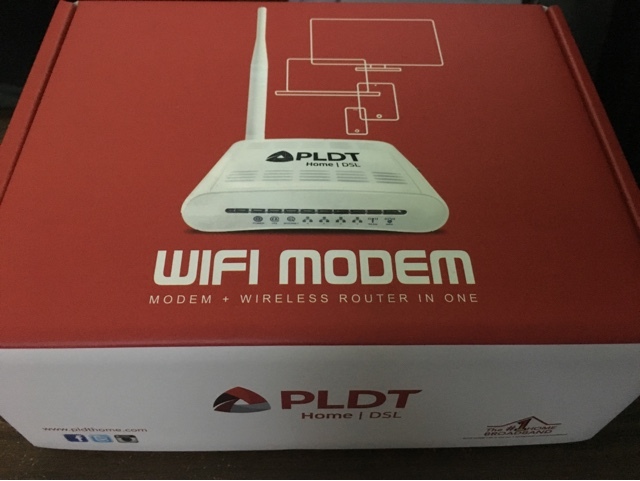 PLDT's WiFi router name is simply PLDTMYDSL. So if you live in an area (like I do) with several PLDT DSL subscribers nearby, chances are, your gadgets will detect other routers with a similar name. What's good at least is that you can actually change the extension to have a unique name assigned to your device (i.e. PLDTMYDSL_YourDesiredNameHere). Other than the WiFi name, you can also modify the Wi-Fi password to prevent unauthorized users from connecting to your connection for free. Here's how. 1. Open a browser and go to 192.168.1.1. 2. Enter the default admin login. Note that this is not the same as other PLDT connections such as the HomeBro Ultera (formerly SmartBro). There are other possible login combinations based from the site HowtoQuick. 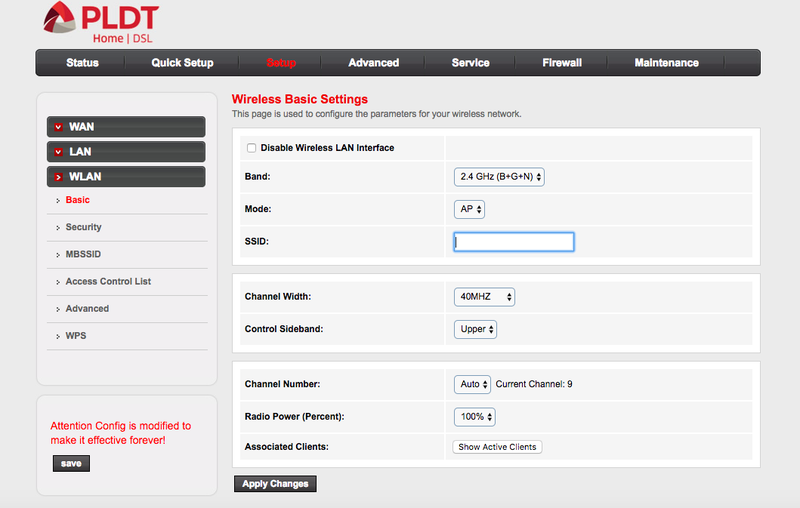 You can actually change the default router password (for newer models). You'll be prompted to change the password during the initial setup process. The old one we were using was replaced due to a recurring intermittent connectivity issue. The older router was still within warranty so the replacement was free. 4. Click Setup on the upper menu and then WLAN on the left panel. It will show the Basic settings. SSID is the Wi-Fi name. 5. On the left panel, go to Security. 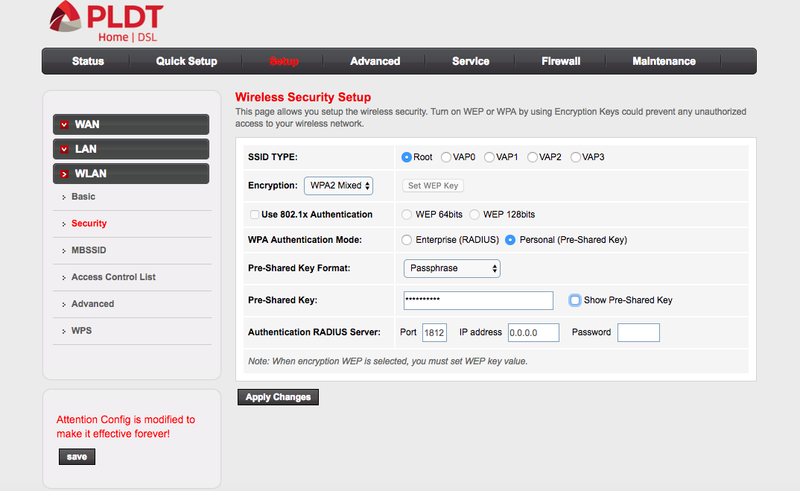 Pre-Shared Key is the Wi-Fi password. Tick the "Show Pre-shared Key" box in order to show the password (making sure you typed it right). 6. Apply Changes for both Wi-Fi Name and Password updates. For all other PLDT troubleshooting guides, visit the PLDT DSL Support page. Try mo mag-manual reset para bumalik sa default settings. Hello. Try mo yung ibang login options. 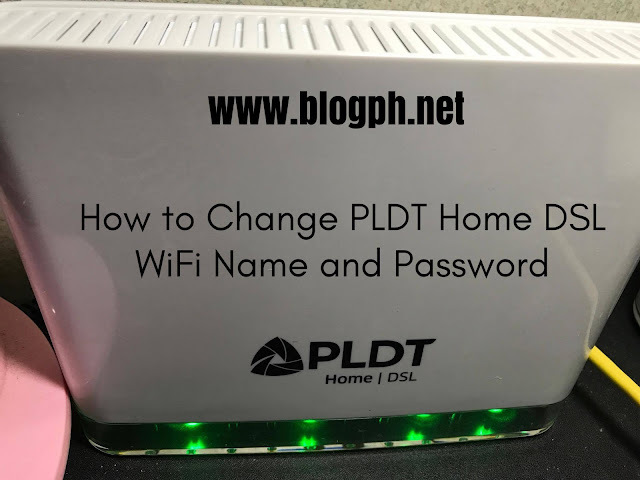 Pwede mo ring ireset yung router para bumalik sa default login in case na napalitan na. Gusto ko rin pong mapalitan ang password ng wifi nmin, ang plan ko po ay 20mbps unlifiber, nahihirapan din kming magpalit ng password. Hindi ko po sure kung pareho ng Fibr ang router interface ng DSL eh. Pero most likely same lang yung mga hahanapin nyong information. I believe add-on feature po yung call forwarding. You can request for it with an additional fee. Try mo po yung ibang possible login combinations. I will link to this post above.